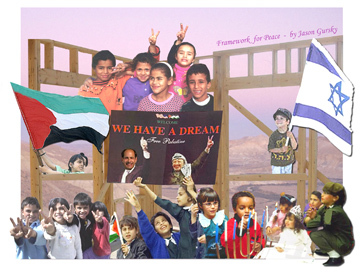 50% of the profits from Framework for Peace will be donated to Israeli - Palestinian Peace Groups. The list that we donate to can be found on the Ariga.com website and at the Foundation for Middle East Peace. Framework for Peace is available as prints from DotPhoto.com in the following sizes and costs. Shipping and sales tax are extra.